The tool windows you open and visit are saved in an MRU (most-recently used) list. So you can navigate among all the various opened tool windows, using Alt+F7 for next and Alt+Shift+F7 for previous. Yet another one of those “Wow, she didn’t know you could do that until someone showed her” moments happened when she found out you can maximize a tool window by setting it to a tabbed document state. 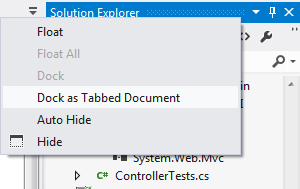 With your desired tool window selected, either right-click the tool window title bar or tab window to bring up the tool window context menu and then select Dock as Tabbed Document. Alternatively, you can go to the Window menu and select Tabbed Document. Tip 4.23: Why would you want to make a tool window float? 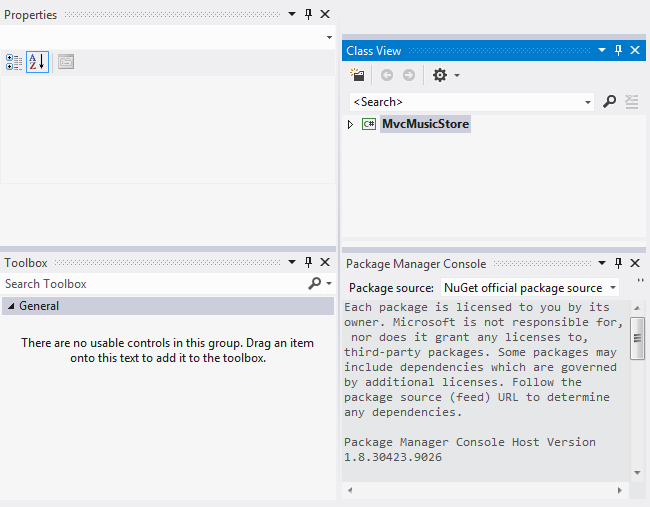 Docked The tool window is locked to a specific location, usually to the side of the IDE. Hovering This is her made-up term to describe a tool window that is in the dockable state but is not docked. Recall that the dockable state is different from a floating state, because the floating state cannot be docked. Most of these states are self-explanatory, especially after a little bit of trial and error, but the floating state may be less obvious. 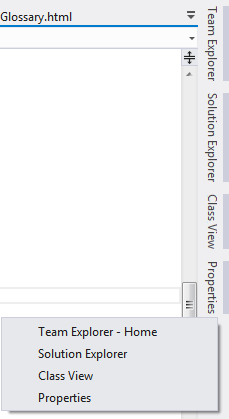 In a floating state, the tool window hovers over the IDE but cannot be docked to a fixed position in the IDE. 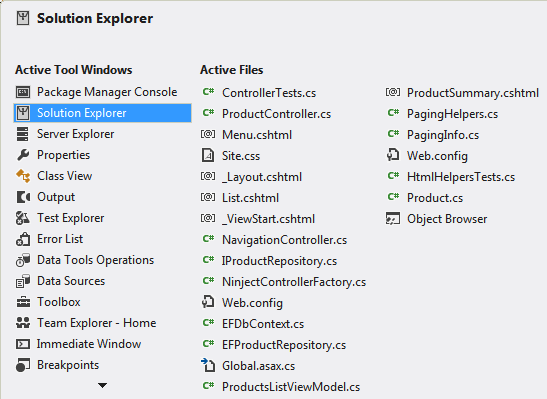 On the Tools–Options–Environment–General page, you’ll find the Animate Environment Tools check box. This option controls the speed at which a tool window slides in and out of an autohide state. Additionally, you can opt out completely from the animation effect by unchecking the Animate Environment Tools check box. If you do that, tool windows pop to their new locations rather than sliding to them. She thought she had discovered a bug where “Shift+clicking a tool window that is docked at the bottom of the IDE causes the window to disappear instead of docking.” But after repro-ing on someone else’s machine (it is so important to get a repro on another machine when you are not sure), she realized that it occurred anywhere. Then she realized what the “bug” was…. If the tool window is still sliding out, it will dock. But if the tool window hasn’t started to slide out yet, Shift+Click will perform a Hide command. So this tip is based on both behaviors. Let’s start with “Tool Window 101” training. When a tool window is docked (as discussed in Tip 4.13), you have the option to autohide. Just click the autohide push pin as shown in the following image. 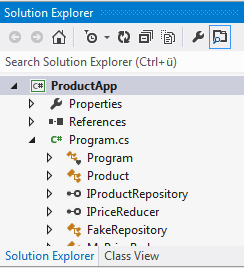 Or go to the Window menu and choose Auto Hide to autohide the currently selected tool window. 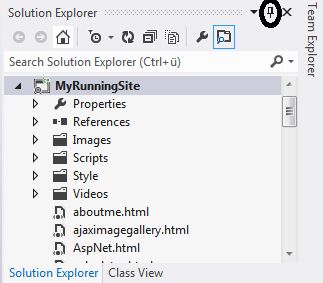 You can mouse over the Solution Explorer and click the push pin again to redock. Or you can go to the Window menu and choose Auto Hide, which unchecks the Auto Hide setting. But what’s the fun in that? Now for the actual tip. Did you know that you can press Shift+Click on the autohiding tool window (the second picture in this tip) to move it into a docked state? 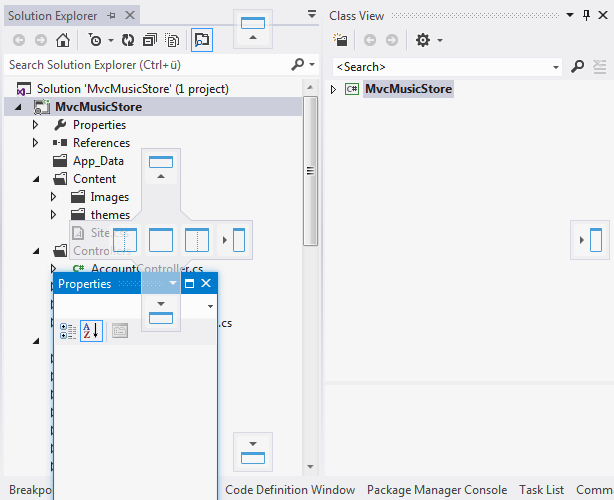 However, if the tool window is already sliding out (as shown in the next screen shot), it is automatically hidden. So you are probably wondering, “Okay Sara, so what is Shift+Click really supposed to do?” It is supposed to perform a Window.Hide command. But when the tool window starts to slide, stuff happens in the IDE and it goes into a docked state instead of a hide state. 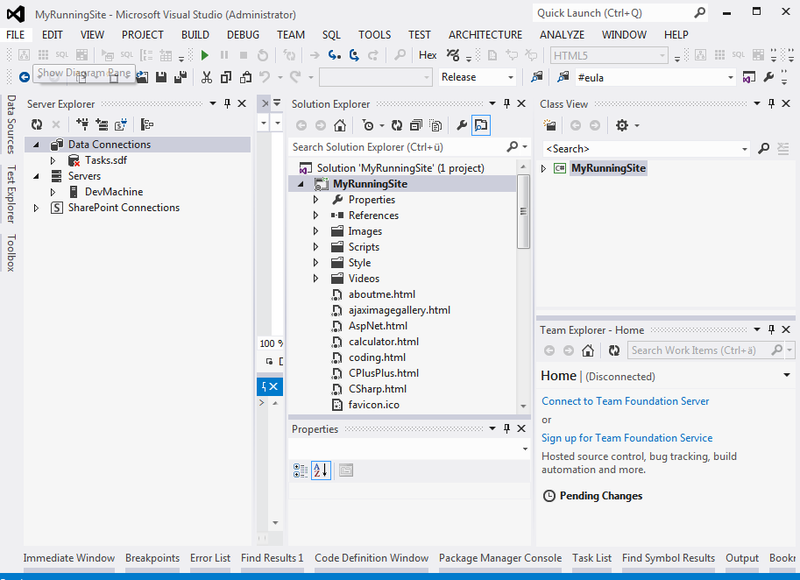 More than you ever wanted to know about the Visual Studio environment, huh? After you drag a tool window to an undocked position, you can quickly redock the tool window to the previous location by double-clicking the title bar. Also, you may notice some tool windows are in tool window groups (as shown in the following image), whereas others are docked individually. To separate a tool window from its group, either drag away or double-click the tool window tab, as shown in the following screen shot. This is one of those features she always forgets. The window management developer and she were discussing another tip, when he showed her the autohide channel context menu. 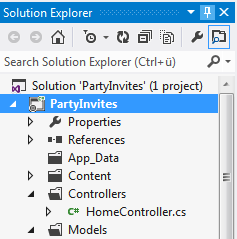 Right-click the tool window autohide channel to invoke the context menu, and click one of the tool windows to slide it out from hiding. 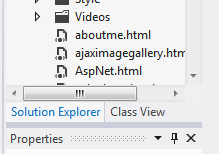 Note in the picture that the Solution Explorer and Class View tabs are side by side, whereas the Properties tab has some space separating it from the other tabs. 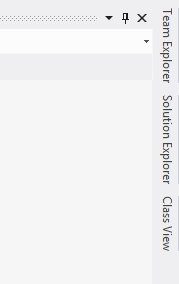 This is because Solution Explorer and Class View are docked together and the Properties browser is docked next to it, along the edge. 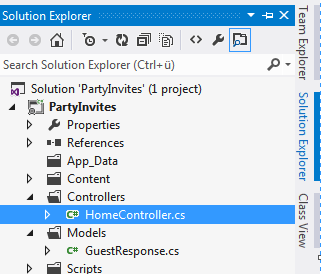 On the Tools–Options–Environment–General page, you’ll find the Auto Hide Button Affects Active Tool Window Only option. The next illustration is a snapshot of two tool windows docked together with the Auto Hide push pin circled. 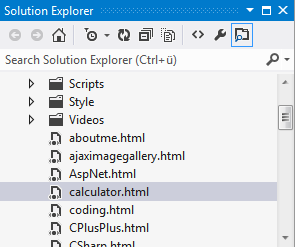 If you want autohide to apply only to Solution Explorer when you click the push pin, enable the option. Otherwise, autohide will apply to both tool windows. 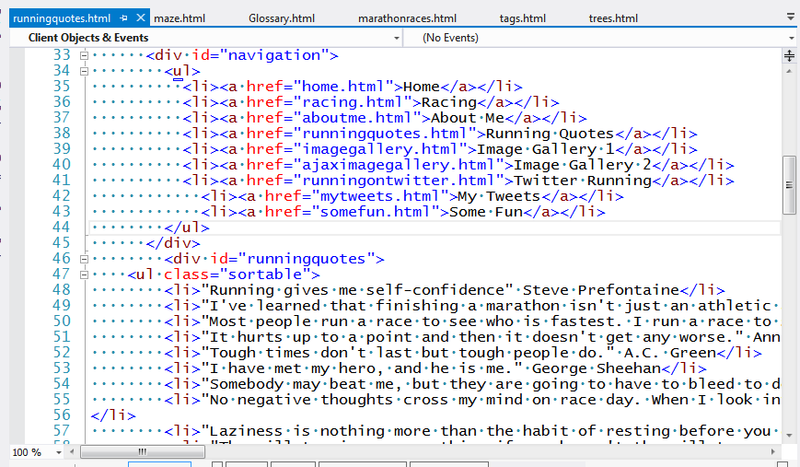 However, there is one caveat: there isn’t a command to slide out all of your tool windows. When you drag a tool window over a docking target, you’ll get a preview, as you see in the next screen shot. Can you tell she enjoyed being a tester?